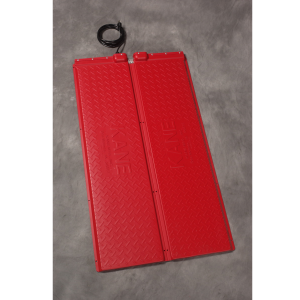 Heat Mats & Thermostats | Kane Manufacturing Company, Inc.
Kane Heat Mats are designed for all types of farrowing: farrowing crates, free stall, comfort stall, etc. Our heat mats put the heat under the baby pig, where it belongs. They act as a draft barrier on slatted flooring, woven wire, and any type of coated wire or plastic flooring. By putting the heat under the piglets, they keep their stomachs and entire bodies warm. When using heat mats, the dampness of the concrete or the draft through slatted type flooring is eliminated. 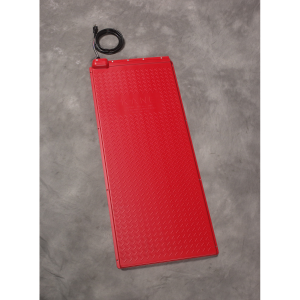 Kane Heat Mats provide a large heated area for baby pigs to rest and sleep. The large heated area eliminates piglets from piling and bunching causing less stress on each piglet, which means much faster growth and weight gain. Results are healthier piglets at weaning time, strong healthier pigs going into nurseries. And ultimately, this contributes to shorter time to market. 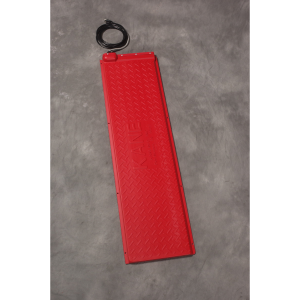 Kane Heat Mats are very economical to operate. Their insulated bottom prevents heat loss to the floor. Kane Heat Mats are 80% more efficient than heat lamps. Dead air space inside the mat, above the heater, aids in maintaining heat longer and reheats more quickly. • Designed for farrowing crates, free stall, and nursery pens. • Larger heated surface with even heat at all points. • Insulated bottom to prevent downward heat loss. • Large, comfortable heated surface which prevents piling. 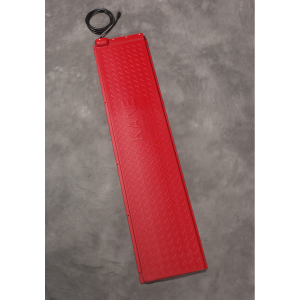 • Traction designed, non-slip surface. 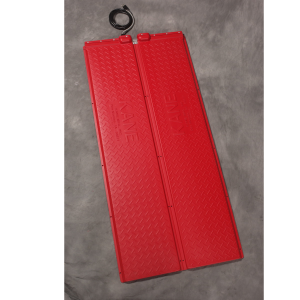 • Easy-to-clean, durable Polyethylene construction. • Easy to install, can be fastened down with plastic ties (holes provided). 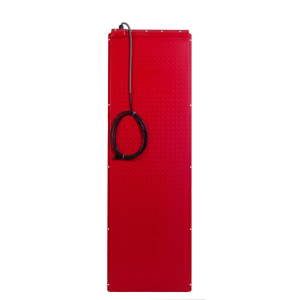 • Double mats have a recess for pen divider. 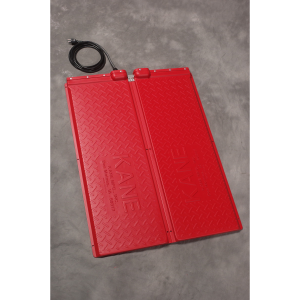 You can purchase Kane Heat Mats for installation with or without thermostat-based temperature controls. When installed without temperature controls, your heat mats will heat to a constant 37 degrees Fahrenheit above ambient temperature. You can also install your heat mat with a temperature control system based on our new TD-20 thermostat unit. These installations feature one or more heat mats, plus a PHMS36C sensor mat and the TD-20 thermostat. 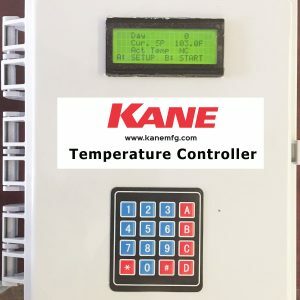 If you are interested in a temperature control system for your Kane Heat Mats, you can learn more about our temperature control solutions here, and we invite you to call or email us so one of our sales staff can contact you to help you select the right mix of equipment for your operational needs. 13.5" x 48" Baby Pig Heat Mat. 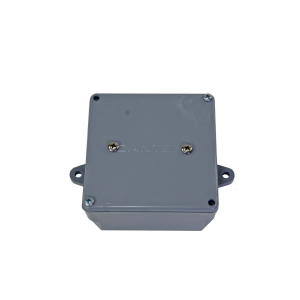 Available with or without Thermostat temperature control. 18" x 57" Baby Pig Heat Mat. Available with or without Thermostat temperature control. 13.5" x 60" Baby Pig Heat Mat. Available with or without Thermostat temperature control. 27" x 36" Baby Pig Heat Mat. Available with or without Thermostat temperature control. 27" x 60" Baby Pig Heat Mat. Available with or without Thermostat temperature control. 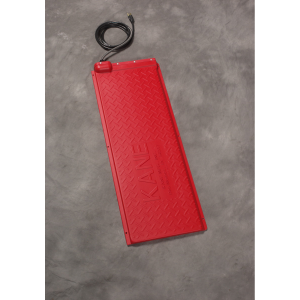 If you are interested in a temperature control system for your Kane Heat Mats, we invite you to call 800-247-0038 or fill out the contact request below. One of our sales staff can help you select the right mix of equipment for your operational needs.